David Wilkes, PE, is a senior vice president at OBG and leader of the company’s water brand. A nationally-recognized water expert with more than 30 years of environmental engineering and project management experience, Mr. Wilke’s expertise spans a variety of water quality issues and advanced water treatment technologies, including low-pressure membranes, ultraviolet disinfection, ion exchange technology, and new applications for advanced oxidation. At OBG, Mr. Wilkes directs large-scale water projects, including studies, testing, design, and construction management for new, expanded, and rehabilitated water treatment plants ranging upwards of more than 500 mgd. 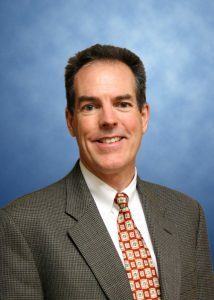 Prior to OBG, Mr. Wilkes served as a technical advisor to major water utilities nationwide, including the Metropolitan Water District of Southern California, which operates one of the nation’s largest treatment systems, as well as Fairfax Water in Virginia; Louisville Water Company in Kentucky; Metro Water Services in Tennessee; and the Cities of Baltimore, Maryland, and West Palm Beach, Florida. He holds an MS in Environmental Engineering from the University of Texas and is Chair of the American Water Works Association National Standards Council.